Brust, R.A.. "Black Fly". The Canadian Encyclopedia, 04 March 2015, Historica Canada. https://www.thecanadianencyclopedia.ca/en/article/black-fly. Accessed 21 April 2019. Black flies are insects found throughout Canada, particularly in northern wooded regions. 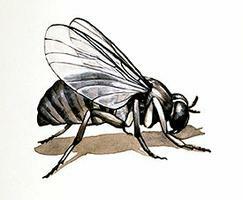 Black flies are insects belonging to order Diptera, family Simuliidae. They are small, 1-5 mm long. Not all species are black; some are yellowish orange or brownish grey. More than 1,250 species are known worldwide, at least 110 of which are found in Canada. Females have biting mouth parts with toothed stylets (i.e. small, pointed appendages) for cutting skin. Males do not bite and are rarely observed. Both sexes require nectar for flight energy; females use blood for egg development. Black flies occur nearly anywhere that rivers and streams are present for their immature stages, including Arctic regions, and are especially abundant in northern wooded areas. 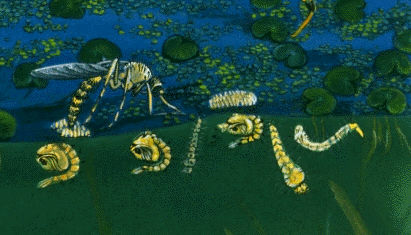 Larvae live in flowing water, gathering fine particle food by straining the water with their head fans (i.e. brush-like extensions). Eggs (150-600 per female) may be laid on objects in water or dropped as females fly over water. 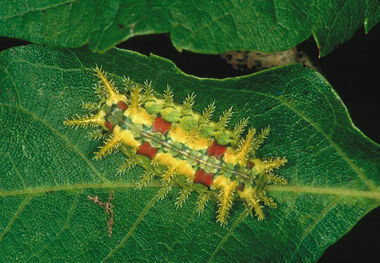 Larvae attach to rocks or vegetation and complete development in 3-14 days, depending on water temperatures and the availability of food. Pupae are inactive and do not feed. Adults may emerge from any water depth, floating upward in a bubble of air generated during emergence. They are ready to fly when they break the surface. Average life span is about three weeks. 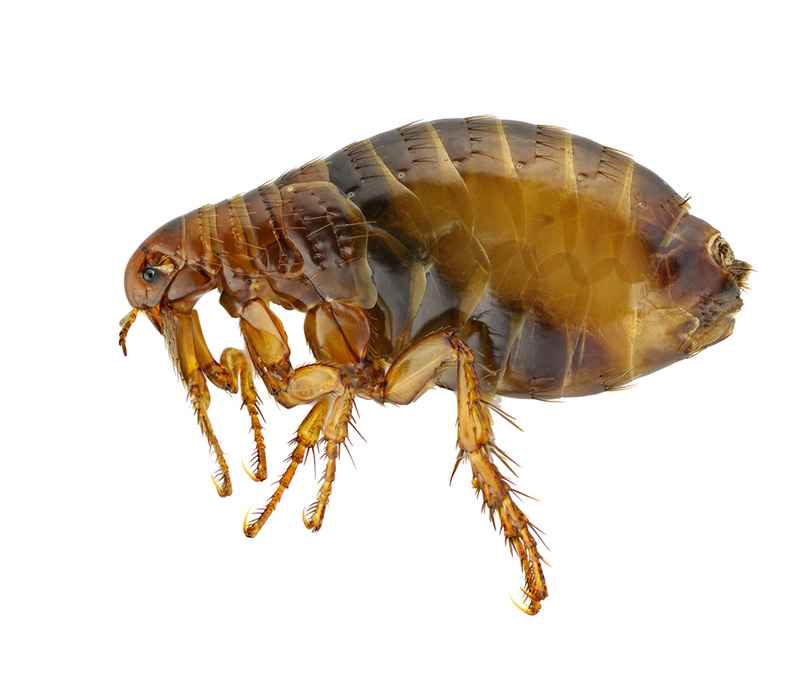 In Central America, tropical South America and Africa, black flies frequently transmit nematodes (i.e. roundworms) causing river blindness (onchocerciasis) in humans. In Canada, black flies cause human suffering and are a scourge to livestock. In the Athabasca River region of northern Alberta, weight loss in cattle caused by the black fly attacks in one outbreak (1971) amounted to 45 kg per animal; 973 animals were killed in one area alone by Simulium arcticum, a species whose saliva contains a toxin which in large quantities causes anaphylactic shock and sometimes death in cattle. In Saskatchewan, 1,100 cattle were killed by this black fly species during the outbreak years of 1944-47. Black flies are a nuisance to humans. For example, forest workers in northern British Columbia and Québec demand black fly control as part of their work contract. M. Laird, Black Flies (1981).